How to pack kitchen stuff for moving? The kitchen is one of the difficult rooms to pack while house moving.This is because there are varieties of items of different shapes and sizes which need to be sorted before you pack them securely for safe moving. All pans, pots, utensils, appliances, and cutlery, need to be carefully dealt with when packing kitchen stuff for moving.Kitchen packing needs your special attention and it can be a time-consuming process without a proper plan. So here is kitchen packing guide that helps you in kitchen moving. House moving is a good opportunity to discard unwanted, old and worn out items. The first thing you need to do is select the items that you will be taking to your new home and the ones that would be discarded. Keep the items that will not be packed in a separate room. Search every keyboard in the kitchen and select things that won’t be moved to new place. You can donate the items that wouldn’t be moved to food banks, shelters, or give usable items to your relatives or friends. The Essentials box will contain items that you will need for last 2 days in your old home and first 2 days in new place.It can include items like cutlery, dishes, appliances like toaster and coffee maker, food items, dishcloth, dishtowel, soap, cleaner, etc. Liquor and wine bottles should be packed first in the house moving process. Keep aside bottles you will need during your stay in old home and you can pack the remaining ones. You can also pack unopened bottles of food items.Pack unopened vinegar bottles, cooking oils,and any specialty oil bottles. Start with the most messydrawer in the kitchen and discard items that you don’t use. The basic rule you can follow is – if you haven’t used any item in last few months, it should not be moved to your new home. Keep aside one cutlery set for every family member and pack the remaining ones.The cutlery should be kept in the essentials box.Next, you can start packing your cookbooks.Keep the books flat in the movingboxes as it will keep the book spines from bending.You can keep the most used book on the top and less used ones below.Remember the Essential box should only contain important items. Wrap each piece of dinnerware in packing paper carefully. Keep sheets of packing paper or bubble wrap over one another to make a thick cushion in the box. Place one dish at a time and pile them carefully. Keep a piece of packing paper or bubble wrap sheet between every 3-4 dishes.You need to be careful when packing delicate items like coffee mugs and wine glasses. Wrap these delicate items in tank-tops or t-shirts and place them in a box. It is good to use original boxes for packing appliances else you need to find aright-sized box for them. Read the manuals of appliances and follow packing instructions given inside.You need to prepare appliances for moving at least one day before the final moving day.Switch off the refrigerator and let it defrost. Empty the fridge and clean it thoroughly.Wipe the inside of the fridge with adrycloth to remove any traces of moisture. Tape the fridge door and wrap the fridge with a blanket and secure it with packing tape. Similarly, clean the oven from inside and tape the oven door and wrap it in a blanket. After you’ve packed all the items, it’s time to call in the removalists. 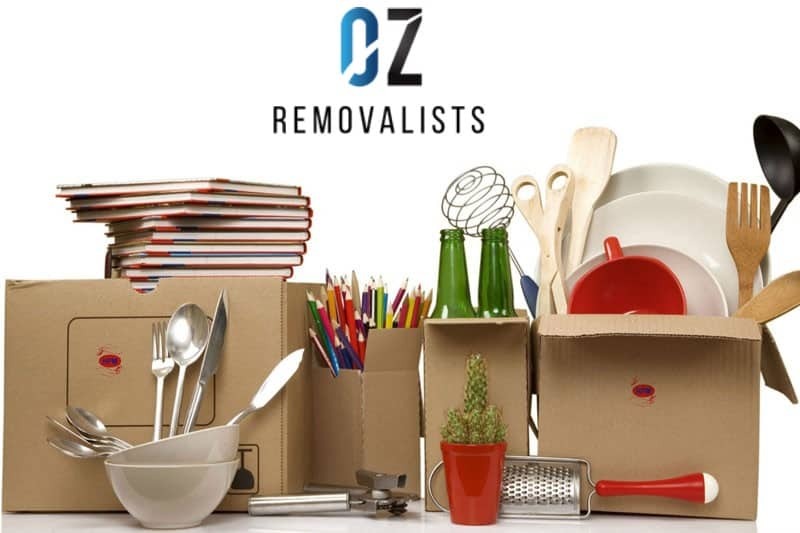 For a quick and smooth move across the Melbourne, book your move with the experts at Oz Removalists Today.